You might think that there’s no reason to pay special attention to your driveway, but you’d be wrong. 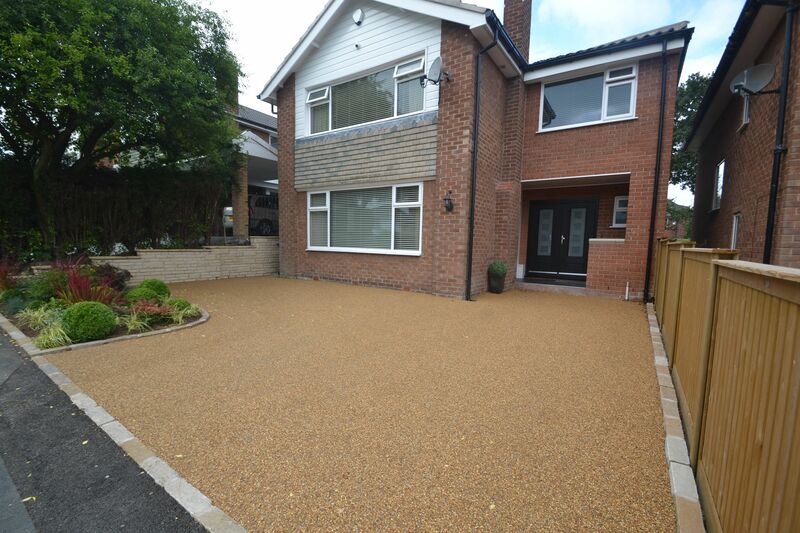 Luxurious driveways speak volumes of your good taste and attention to detail. Modern driveways use different designs and materials than before to get the best results possible. If you choose to have a custom driveway design, not only will your entire home look beautiful, but you’ll enhance its curb appeal too, making your home more valuable in the long run. First things first: if you want to achieve that countryside charm by using loose gravel for your driveway, you have to make sure the ground is well-prepared. Unless the ground is hard and has good drainage, you will end up with gravel all over the place. Beside decent drainage, you will also need some side forms to prevent the gravel from becoming ‘too loose’. If you want something sleek and modern, you should try getting a curving chip and tar driveway. Not only will it allow you to have beautiful small grassy islands and lovely flowers, but once set, these driveways can last up to ten years without any need for repairs. For those who are looking for elegant solutions, brick driveways are the best choice, since it’s a very versatile material which allows you to improvise and come up with stylish solutions. For example, you can try combining charcoal with red brick to get a ‘statement’ driveway, or you can chose to have bricks set in custom designs. Delicate semicircles look hypnotic while square edges that separate them give the much needed balance, making the entire creation contemporary and elegant. Belgian block pavers (aka cobblestone pavers) match perfectly with grand entrances and heavy gates made of wrought iron. They come in a variety of colours, and they are also incredibly durable and low-maintenance, which means that you won’t have to spend a fortune trying to keep them in good shape. 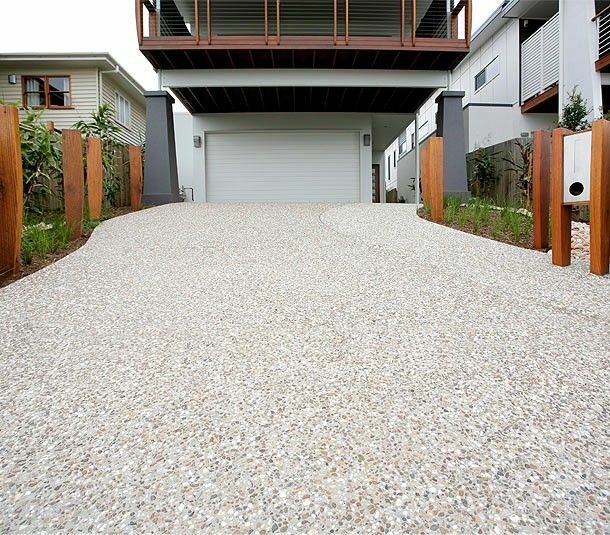 For those who strive for luxurious minimalism, quality exposed aggregate is the best choice. The finish is intriguing, highly-durable, and skid resistant, which makes it ideal for driveways with heavy traffic (if you own more than one car, for example). If you’re in love with luxurious circular driveways, you have several possibilities to choose from. You can for example use plain old pavers, but give them a glossy shine by covering them with a high-quality sealer. Circular driveways are the best choice if you have old trees or water fountains as they can wrap around them, and also allow you to keep a neat garden, tropical palms, or just a nice lawn with a walkway which leads to your front door. People with modern houses can also choose to have durable paver driveways, as these allow you to have custom made irregularly shaped pavers surrounded by ordinary poured concrete. These designs are both elegant and attractive, not to mention contemporary. You can pick brown pavers and arrange them in random patterns to get unique designs which won’t fail to make an impressive first impression on anyone coming to your home. People have the wrong idea about concrete being dull and gray – the truth is, there are plenty of colours of concrete, so everyone can find something they like. Choose a luxurious decorative concrete that will go well with any feature of your property: your front door, the palette of your garden, or even your garage door. When you are choosing the best layout option for your driveway, try to keep in mind the following things: how much time and money you are willing to spend on maintenance, will it go well with the rest of your home, and most importantly – will you like it. Keep in mind that when it comes to driveways, function often has to be put before looks.